This morning, I went to the Independent Publishers Association of Canada IPAC meeting http://www.ipac-calgary.ca/ and had the honour of hearing the guest speaker, Suze Casey. I am going to work toward getting this project done. 2. I am doing this project. Another thing she reinforced is the importance of surrounding yourself with people that support you on your path. They are the ones helping to keep you on purpose and aligned with your passion. It is so important to treat these people like gold. Suze also stressed the importance of being “you.” It is important to not try to be like anyone else. Only you can do what you do. If you do what you are passionate about, you will be on purpose and on path and it will feel really good. 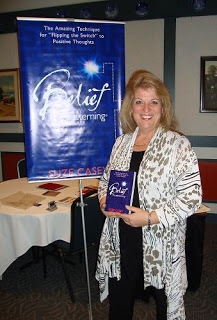 One other quick tip that Suze gave me when I was purchasing her books is how important it is to express gratitude to ourselves for various projects or accomplishments we have taken on. It is all part of the positive self-talk process and the balancing of giving and receiving. Suze’s talk was absolutely uplifting and exactly what I needed to hear for keeping me on path for following my passions. Suze truly walks her talk. She is entertaining, authentic, and inspiring. I am so looking forward to reading her books. 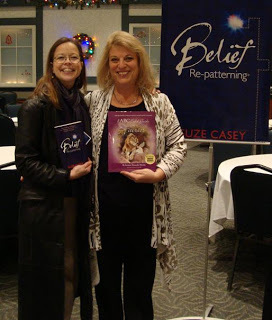 In gratitude to you, Suze Casey, for all that you are doing in following your passion and educating others on how to turn their inner critic into their inner coach.